As parents, we are the ambassadors of the world for our children. We introduce their first foods, we define their limits, we pass on our language, and so forth. After we’ve given a basic introduction to the world and social norms are established, the greatest gift that parents can pass down is a passion. In the best interest of our children, we must expose them to the whole gamut of possibilities including sports, music, art, crafts, etc. You never know which one they may find a keen natural ability for. 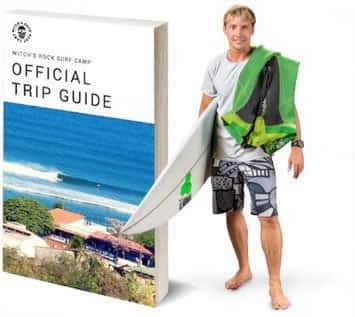 At some point, many parents looking to introduce passion into their child’s life are drawn to surfing (especially when 1 or both parents are surfers themselves). There are very few other activities in life that bring us into the natural world, and completely away from the all-addicting screen. If you’re a parent looking to spark an active passion in your child’s life, bring them to the water and let them discover the joy of riding waves. 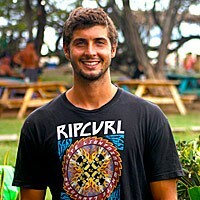 At Witch’s Rock Surf Camp, we have taught surfing to children as young as 5 years old. We usually pair them with one of our parent instructors, keep them close to shore, and give them the 1-on-1 attention they need. Parents are welcome to wade in the water close by and cheer them on. And funny enough, the kids usually catch their first real waves sooner than the adults. Maybe it’s their fearless instinct of their nimble bodies that haven’t felt the burden of old age. Whatever it is, we find that kids can start surfing at about 5 years old if they are confident in the water and eager to try something new. Safety is our #1 priority for our youngest surfers. We have a lifeguard tower on the beach which is staffed with CPR certified guards from 6am – 6pm. All our instructors have been through rigorous life-saving courses in the case of an emergency. And furthermore, clinics are less than 50 meters away from the camp. Injuries with little kids is pretty uncommon (they’re mostly cartilage anyways), mostly just big smiles and contagious belly laughs. 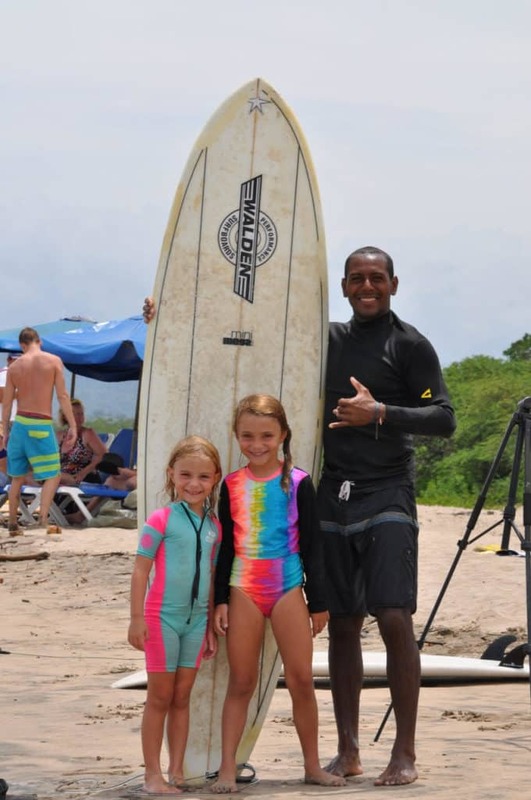 If you are looking for a place to bring your children to introduce the active passion of surfing, Witch’s Rock Surf Camp in Tamarindo should be at the top of your list. The water is 80 degrees year-round, the waves are mellow, and we have professional instructors who will be safe and conscientious with your child (most instructors have children themselves). And just because you’ve read this whole blog, I will share with you an incredible money-saving promo that we offer every August for our valued families. It is called our Kid’s Surf for Free deal and you can save a ton money on your family vacation if you’re able to make it down here in August. If you have any specific questions about introducing your child to surfing or would like a surf package quote, please call us at 1-888-318-7873.